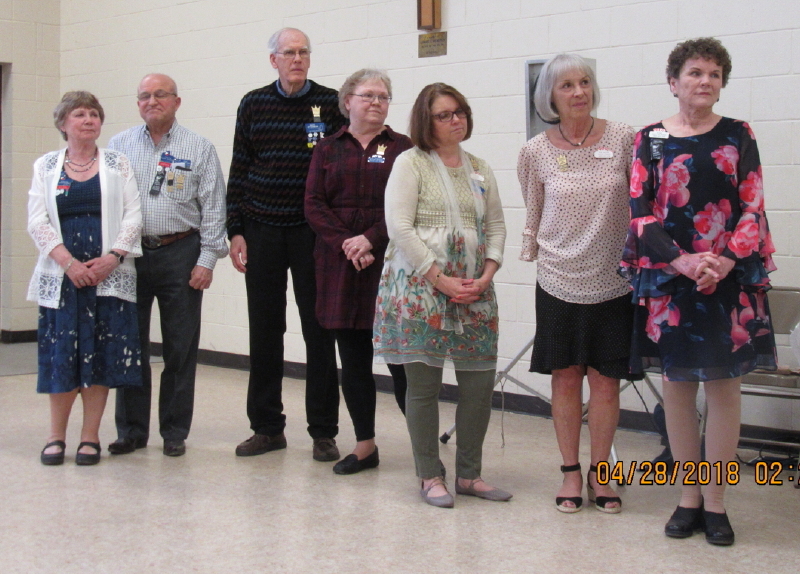 Royalty Luncheon | Square Dance Minnesota, Inc.
April 28, 2018 – 37th Annual Royalty Luncheon hosted by Dakota Grand Squares, Inver Grove Heights. 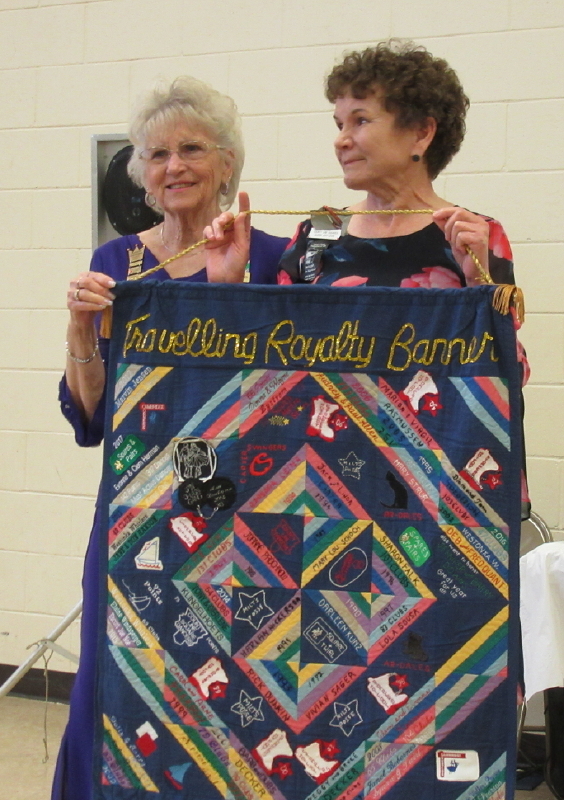 Royalty from the Minnesota square dance organizations that participate held a luncheon where the Edythe Beard Travelling Royalty Banner (see photo above) was presented to the past year royalty that earned the most points. 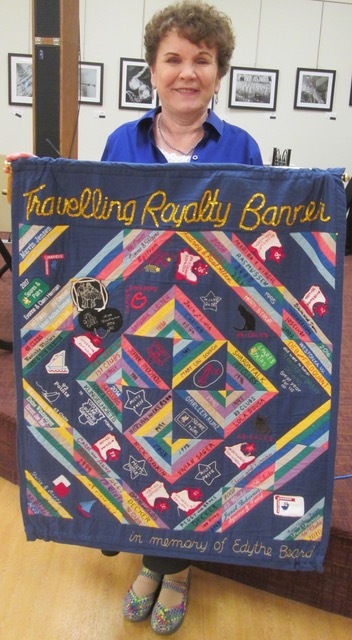 This year’s recipient was County Line Squares Queen Susie Oachs (see photo above). Edythe Beard Travelling Royalty Banner. Susie (on the right) was presented the banner by last year’s recipient Evonne Herman. Previous year’s royalty at the luncheon. 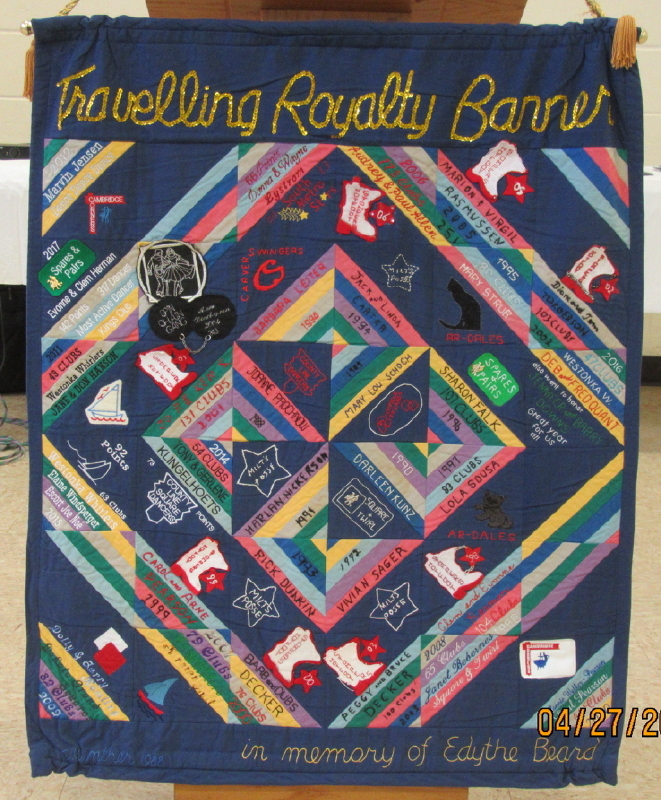 This entry was posted in Activities on April 29, 2018 by LeRoy.